Beneath the waves of Canada's three oceans and inland bodies of water lies a world of spectacular biodiversity that few people ever get to see, but which is just as vital to the health of the planet as terrestrial ecosystems. Coral and sponge reefs and kelp forests support an amazing array of life, making them important feeding grounds for seabirds, marine mammals, and commercially important fish species. As science reveals the interconnectedness of all Earth’s natural systems, countries around the world are beginning to take action to protect their special marine places. 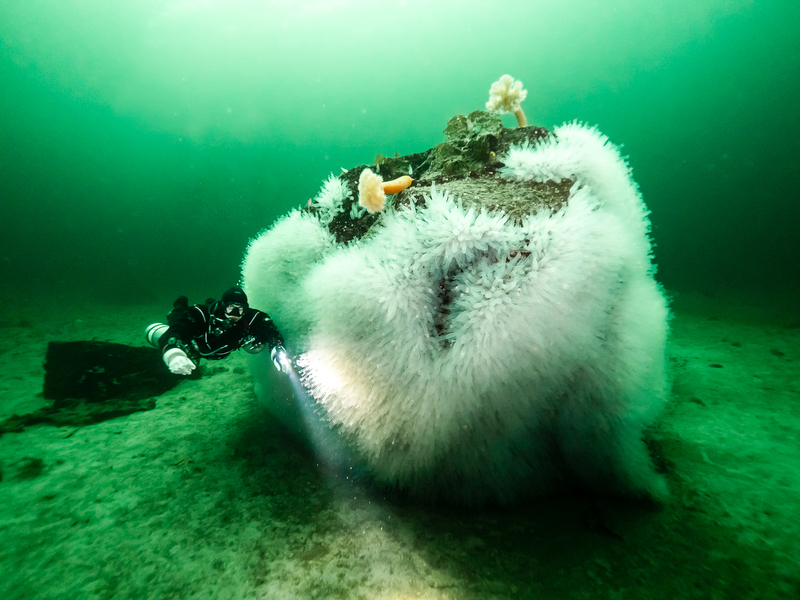 In the November/December 2018 issue of Canadian Geographic, Boris Worm, a marine ecologist and professor in the department of biology at Dalhousie University in Nova Scotia, looks at Canada’s ongoing efforts to protect 10 per cent of its marine and coastal areas by 2020. Worm highlights several “Areas of Interest” on Canada’s East Coast that have been identified as candidates for federal protection, including the outer Bay of Fundy, Nova Scotia’s Eastern Shore Islands, and the Banc-des-Américains (American Bank) off the eastern tip of Quebec’s Gaspé Peninsula. Where once Marine Protected Areas were designated to protect endangered species on a case-by-case basis, Fisheries and Oceans Canada now considers the broad panoply of life in a marine ecosystem to create comprehensive plans that will conserve species richness while sustaining resource industries. 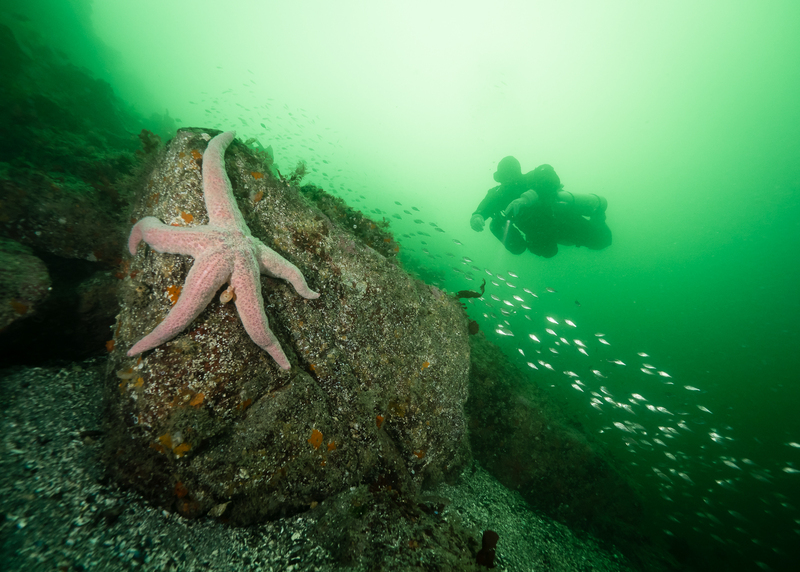 The photos below, by Vancouver-based architect and dive enthusiast Eli Wolpin, offer a glimpse at the delicate beauty of federally- and provincially-protected marine parks on the west coast, including Whytecliff Park in West Vancouver, Canada’s first Marine Protected Area. Eggs of a kelp greenling (hexagrammos decagrammus) in a barnacle on the point at Whytecliff Park Marine Protected Area, West Vancouver, B.C. 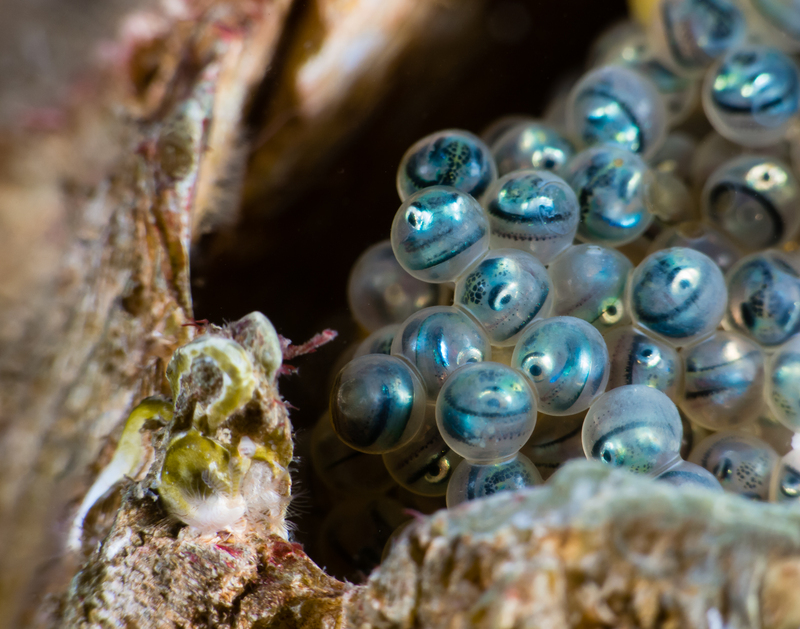 The greenling remains and guards its eggs from predators until they hatch. 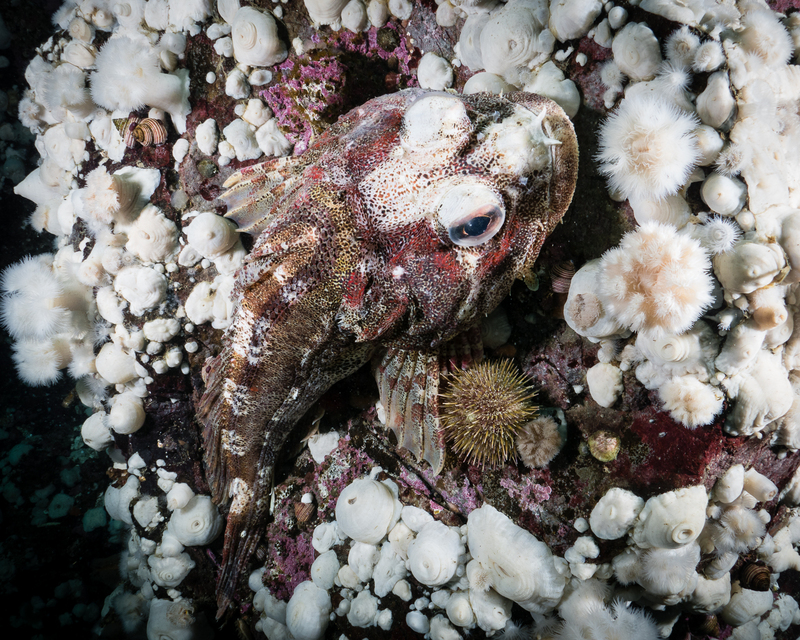 Blending into its surroundings of rocky outcrops covered in plumose anemones in God's Pocket Marine Provincial Park, Vancouver Island, a red irish lord (hemilepidotus hemilepidotus) will sit still when approached, thinking itself invisible. Below 30 metres, cloud sponges dot the walls at Whytecliff Park Marine Protected Area. 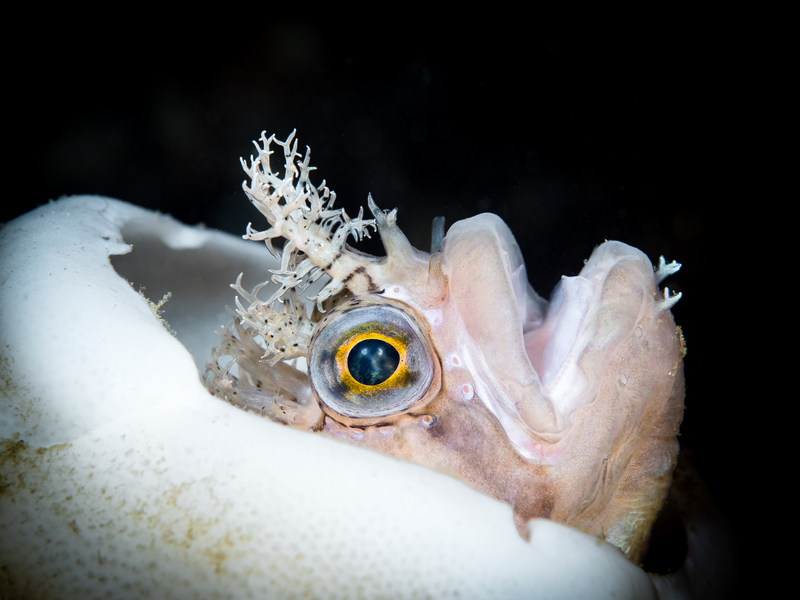 Decorated warbonnets (chirolophis decoratus) are often found hiding from predators in the folds of the cloud sponges. A spiny pink star (pisaster brevispinus) is perched on a boulder while a school of juvenile fish is lit up by a diver in Whytecliff Park Marine Protected Area. Sea stars have been making a comeback after several years of a wasting disease that decimated populations. Fortunately, spiny pink stars were less affected. 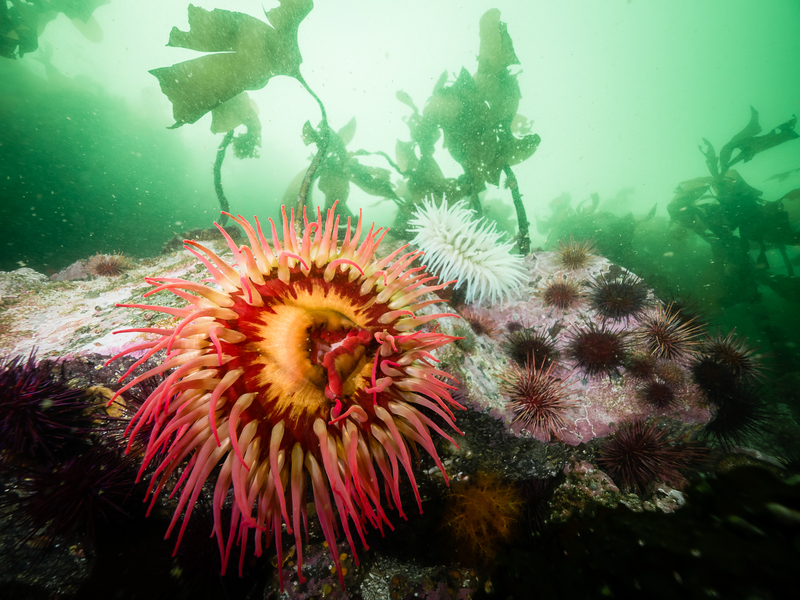 Fish-eating anemones (urticina piscivora) move back and forth in the current against a backdrop of kelp in God's Pocket Marine Provincial Park. Soft corals abound on the current-swept walls of God's Pocket Marine Provincial Park off North Vancouver Island. 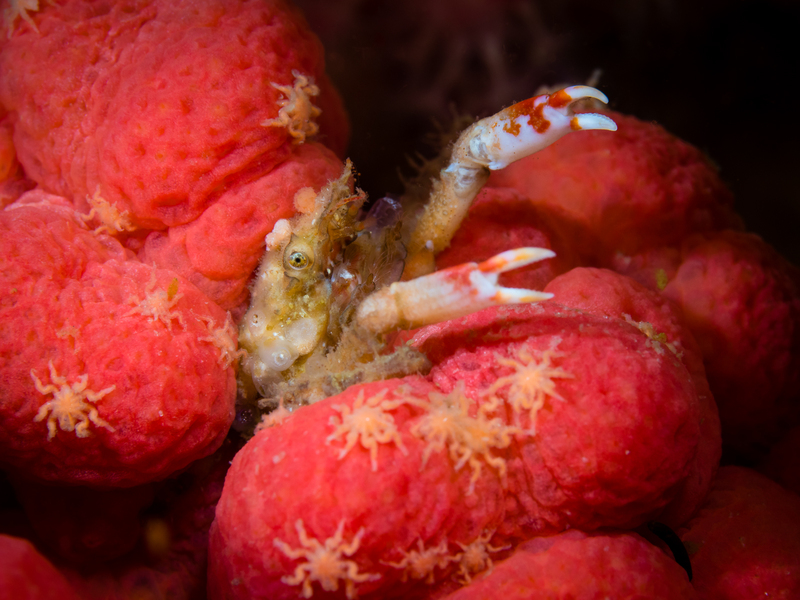 A sharpnose crab (scyra acutifrons) waves from its perch amid red soft corals, surrounded by sea spiders. 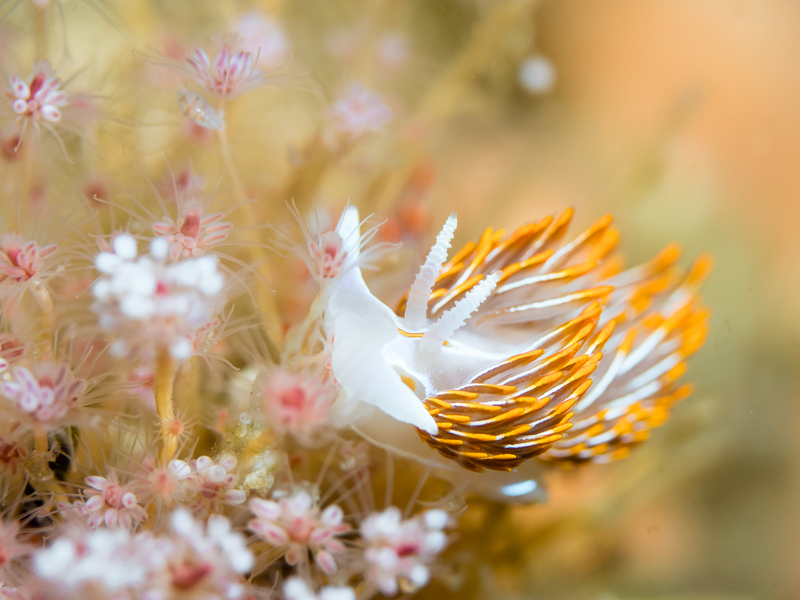 An opalescent nudibranch (hermissenda crassicornis) explores beds of hydroids on Browning Wall in God's Pocket Marine Provincial Park. Lingcod (ophiodon elongatuscan) can grow to be up to 1.5 metres in length. 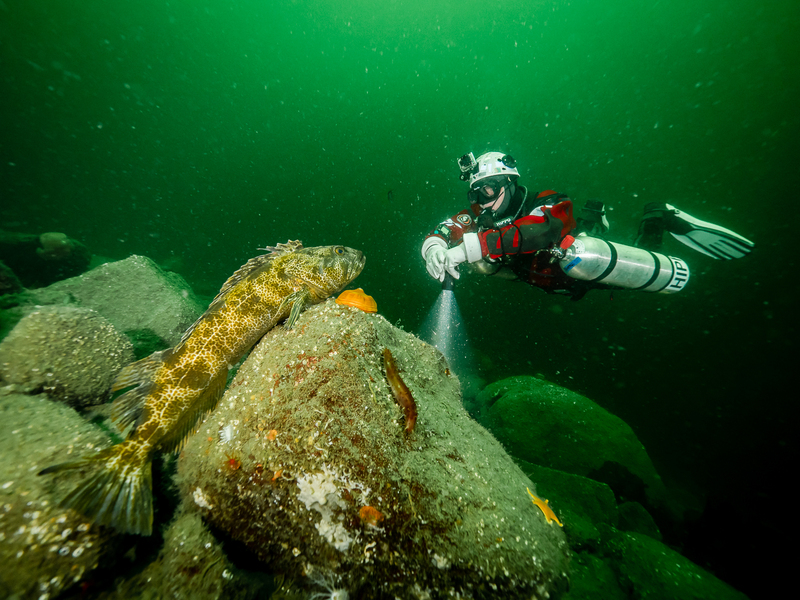 At a depth of 20 metres, a diver meets a large lingcod face to face in Sechelt Inlets Marine Provincial Park. The Pacific transparent sea squirt (ciona savignyi) is thought to be an invasive species on the Northwest Pacific coast. A colony has covered a large boulder between the shore and an islet at Tuwanek in Sechelt Inlets Marine Provincial Park.